Escape to a paradise of nature at the Sepilok Jungle Resort, enclosed within a tropical virgin Borneo Rainforest in Sandakan, Sabah (Borneo), Malaysia. Let its beautiful landscaped gardens and wide expanse of lush jungle transport you back in time. Your escape route to a private paradise in Sandakan, Sabah, Malaysian Borneo..... 100 metres to the world famous Sepilok Orang Utan Rehabilitation Centre - a mere 5 minutes walk away. 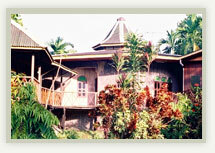 It all started in 1991, when John and Judy opened what was then known as Wildlife Lodge, with only 5 fan rooms. Together, they have lovingly planted all the trees and flowers in the large compound. With so much passion and interest in nature, they slowly increase the number of rooms to 60 ranging from dormitory to air conditioned deluxe with balcony rooms. And now it is known as Sepilok Jungle Resort. After many years, all the trees have grown and now Sepilok Jungle Resort is set amidst in this magnificent landscape. They wanted everyone to enjoy their hard work and thus there are so many ranges of rooms so that people with different budget would be able to come to enjoy the nature in the resort. Here are the highlights of the latest developments at the Resort: new swimming pool, children's pool, jacuzzi, gym and the fully air conditioned Poolside Jungle Cafe. John and Judy are now joined by their children, Johnny, Jessica and Jason who shares the same passion of the family. We will take you back in time when humans were closer to nature. 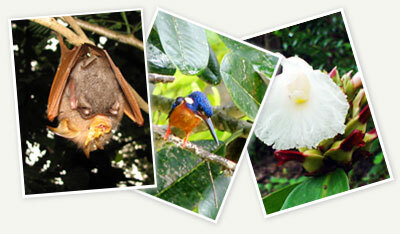 Sepilok Jungle Resort is set amidst beautiful landscape gardens and thousands of acres of tropical rainforest. Sepilok Jungle Resort is ideal for guests who wish to spend a quiet weekend with family and friends and desire only to be awaken by the chirping of birds and to hear the sound of cicada in the evening. You can hear and see Gibbons, Hornbills, many different bird species, fruit bats and butterflies feeding on fruits and flowers. 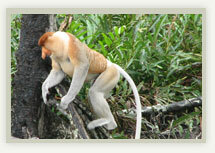 Sepilok Jungle Resort is the perfect place to relax and enjoy the tropical jungle surroundings.